It's HALLOWEEN TIME! This is easily one of my favorite holidays, right up there with Christmas and Thanksgiving (and birthdays which I count as holidays). For some, Halloween means scary nights filled with ghosts and haunted houses. I personally boycott haunted houses because I just don't enjoy being scared for fun, but I love getting dressed up for the holiday. 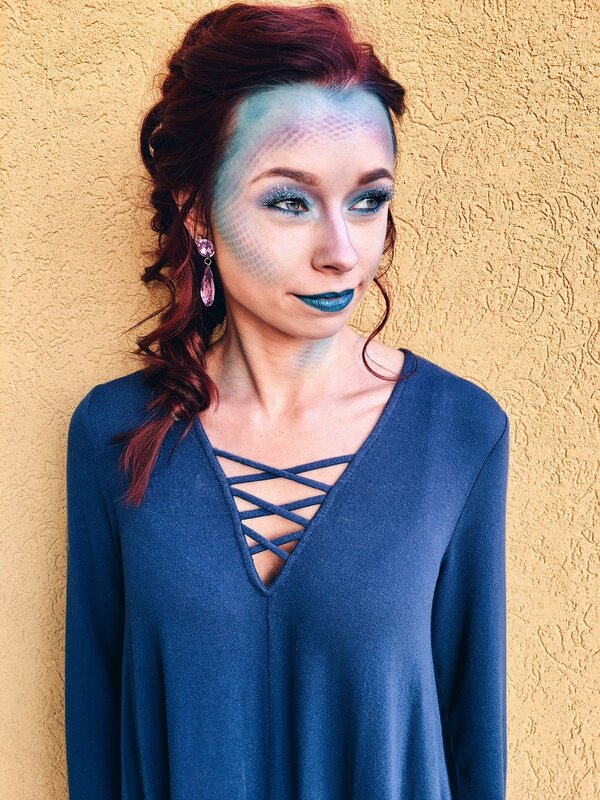 All month, one of my favorite cosmetic stores has been doing different Halloween make up looks and I was lucky enough to be a mermaid for a night. Ariel was one of my all time favorite princesses so as you can imagine I kind of fell in love with this look. One of the best parts about this look is that I could wear a dress that I already had. You don't need to go spend 100s of dollars on a Halloween costume, you can easily find something in your closet and play with your make up. 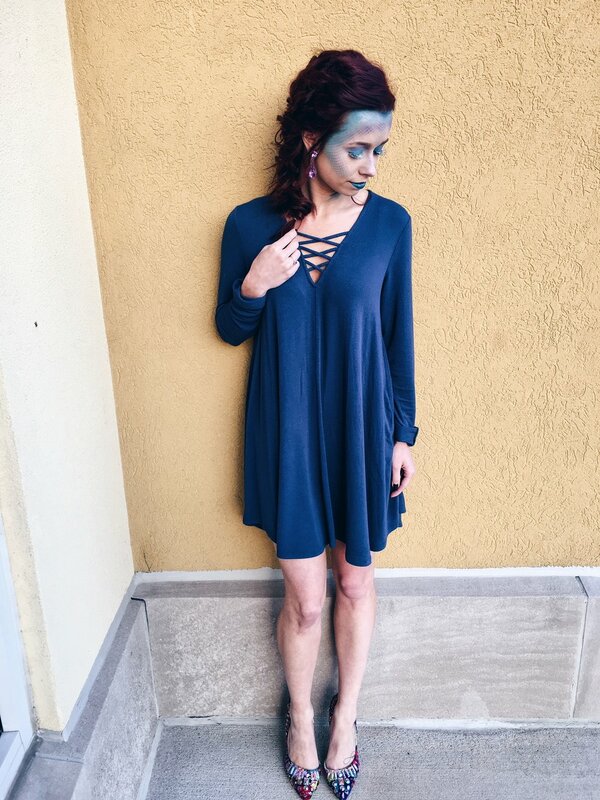 Liv at Merle Norman used various shades of purples and blues to create this look. Pro tip: You will need fishnet tights and glitter eyelashes if you want to replicate this look. 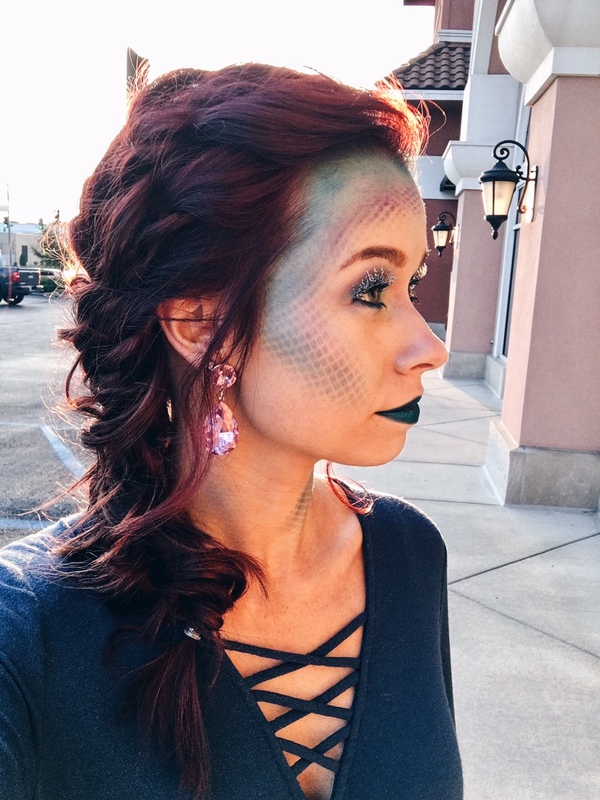 I was really nervous that my short hair wouldn't work for a mermaid look, but Ericka worked her magic and made it work. 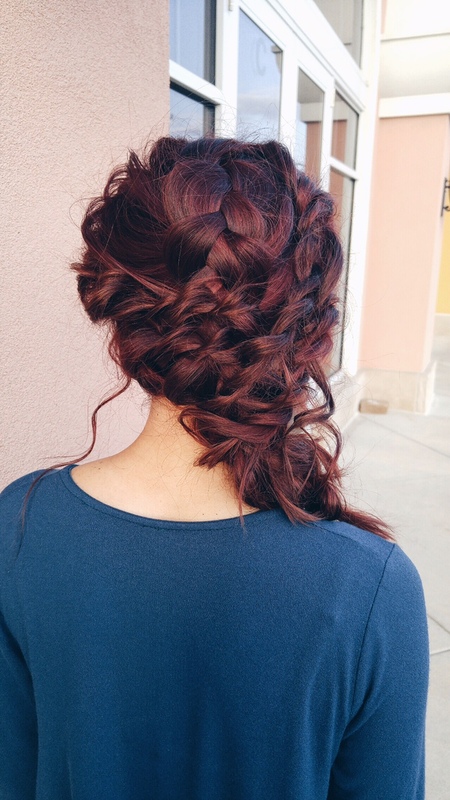 She curled all of it and divided into three sections, dutch braided the back and then did what I like to call twist braids to create the rest. Bottom line, you can totally find something you already have to make the perfect Halloween costume. 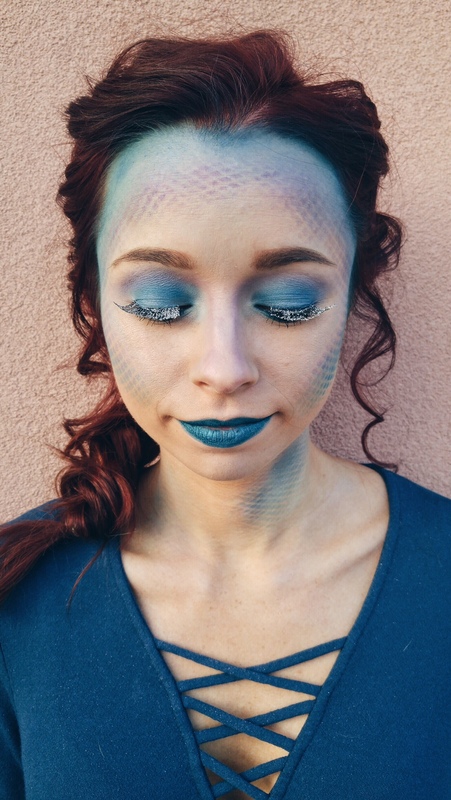 Find a make up artist or a tutorial and make your face the best part of your costume. Stop comparing and just be you.